At all of our children’s services Religious School students, Day School students, and visitors to Beth Shalom are always welcome. Junior Congregation is for our students in grades 3-6. We meet twice a month at 10:30AM in the Chapel, the children lead parts of the Shabbat morning service, learn about what the prayers mean, and play a game related to the weekly Torah portion. Parents are always welcome, or children can join their parents at the end of the service. Junior Congregation is on break during the summer months. 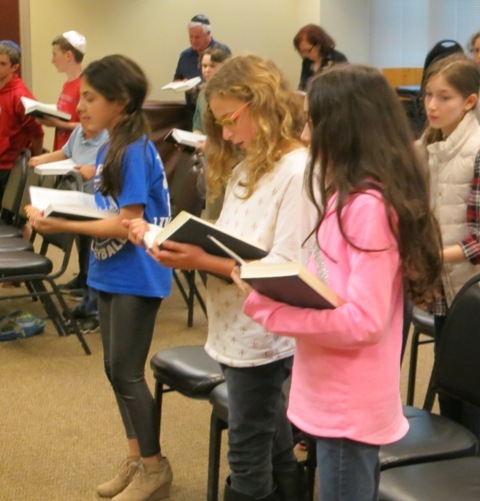 Mini Minyan is for children in grades K-2. The children learn the basics of the Shabbat morning service as well as about the weekly Torah portion and holidays. There is singing, games, stories, and a snack each week. Parents are always welcome, or children can join their parents at the end of the service. Mini Minyan meets weekly (with the exception of national holiday weekends and summer) at 10:30AM in Room 9. 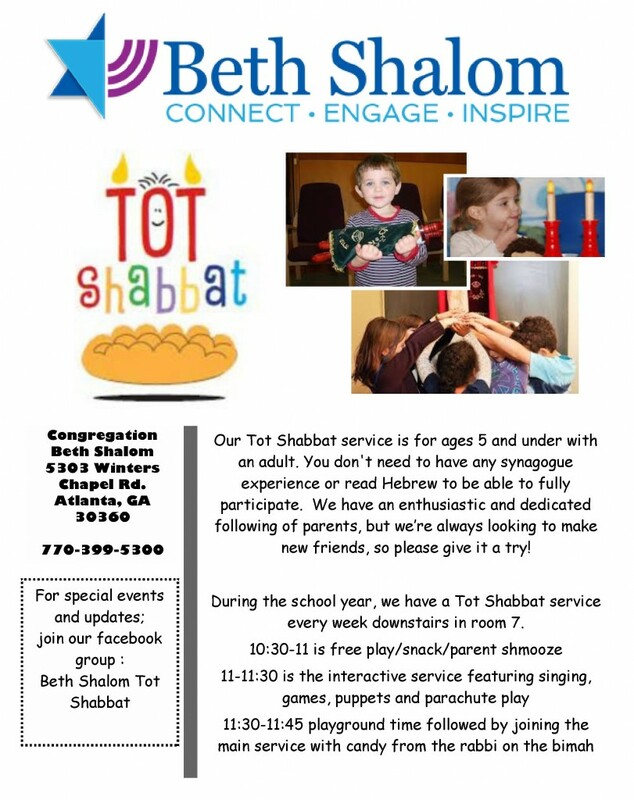 Tot Shabbat is a service for parents and children to enjoy together. This fun, interactive service is geared for children ages birth – four-years-old. There are stories, games, songs, snacks, and some free-play. It is a wonderful time for the parents to socialize, as well! This parent-led service begins at 10:45am. Tot Shabbat services will continue through the summer in Room 7. Click Here for more information.